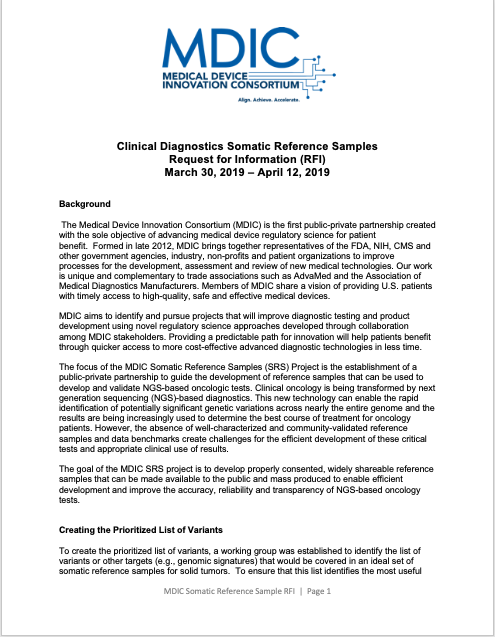 The Clinical Diagnostics (CDx) program aims to identify and pursue projects that will improve diagnostic testing and product development using novel regulatory science approaches developed through collaboration between MDIC stakeholders. Providing a predictable path for innovation will help patients benefit through quicker access to more cost-effective advanced diagnostic technologies in less time. 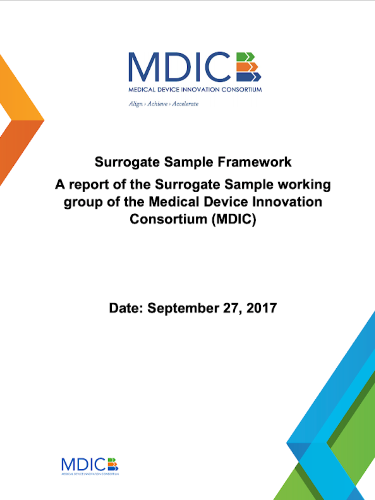 Establishing a foundation where surrogate samples can support product development with an initial focus on studies to support product submissions. Developing and defining clear analytical validity study designs for Point of Care devices that use fingerstick capillary blood specimens. 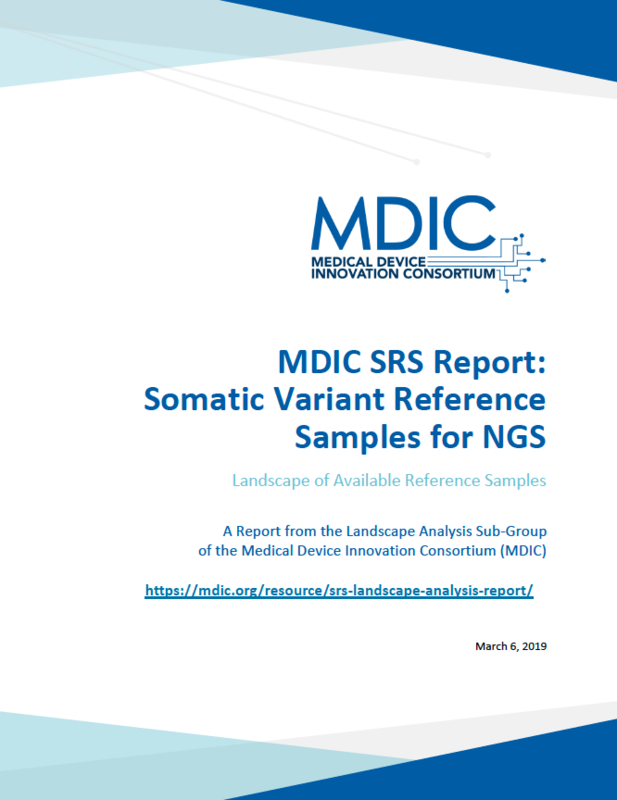 Developing reference samples that can be made available to the public to improve the accuracy, reliability and transparency of NGS-based oncology tests. 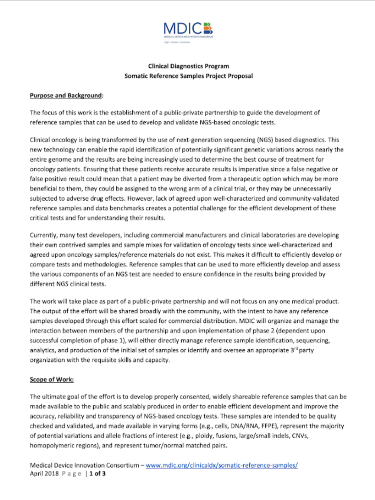 Creating an evidence framework that test sponsors can use to make decisions on how to develop credible evidence of analytical and clinical validity and clinical utility. Building a framework for utilizing real-world data as a source of evidence that can be used to support regulatory and reimbursement decision-making for in vitro diagnostics. 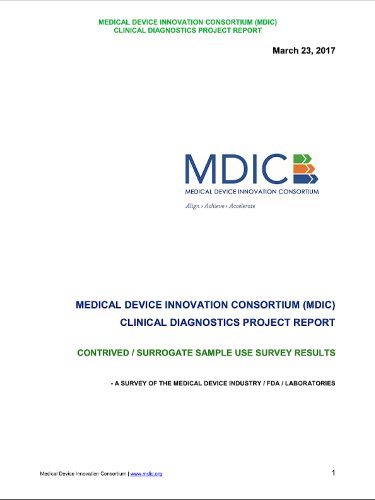 Diagnostic products have an important and beneficial impact on the health care ecosystem. All stakeholders recognize that clinical diagnostics which guide clinical practice and allow earlier detection of many diseases and conditions are beneficial, especially in the emerging era of personalized medicine. Similar to therapeutic medical devices, the regulatory process is well established for in vitro diagnostic (IVD) products, as well as other Diagnostics; however, the regulatory process for IVD tests is seen as complex, expensive and slow. Industry, FDA, and other stakeholders agree that collaboratively creating tools and methods based on science, that address opportunities for improvement, will benefit the entire health care system. As a result, through regulatory science-based initiatives, we have an opportunity to reduce unnecessary delays and costs in delivering better diagnostic tests to help patients.